As we head into round 14 of the Italian Serie A, Napoli maintain their dominance at the summit. As we head into round 14 of the Italian Serie A, Napoli maintain their dominance at the summit with Inter Milan hot on their heels. Juventus are four points off top spot in third place after suffering a 3-2 defeat at Sampdoria last time out and will be desperate to return to winning ways. There are a few tricky encounters to navigate this weekend but yours truly will take you through each clash, giving you expert analysis on the matchup. Bologna will open proceedings on Saturday against Sampdoria. The hosts ended a run of four straight defeats last time out with a hard-fought 3-2 victory away to Hellas Verona. Sampdoria have been in top form with six wins from their last eight matches, including three victories on the trot. The travelling team are off the back of an impressive 3-2 home win over reigning champions Juventus, adding to their confidence coming into this matchup. However, they have been inconsistent on the road this season. Get on the Both Teams to Score – Yes – market at 7/10. Chievo are without a win in their last four matches but come into this contest on the back of consecutive hard-earned stalemates at home against Napoli. Spal 2013 are without a win on the road, scoring just three goals and conceding 11 times. The newcomers are just a point off the relegation zone and they will be desperate to avoid defeat. That could leave them vulnerable at times and I’m expecting Chievo to get up for the win. After suffering three losses in as many weeks, Sassuolo returned to winning ways last time out with a 2-1 win away to basement-dwellers Benevento. Hellas Verona are without a win in their last 10 league matches with eight defeats and two draws. However, the home side are winless on their ground in their last six games, scoring just once and conceding seven times. The Under 2.5 Goals market is the way to go at 8/10. Cagliari were the team to upset my selected treble last weekend after the Islanders defeated Udinese 1-0 in front of their own fans, making it two wins on the bounce. Inter Milan will have the chance to leapfrog Napoli into top spot - at least for the time being - with a win on Saturday. The Nerazzurri remain unbeaten with 10 wins and three draws from 13 games, scoring 25 goals and conceding just nine times. The away win is on the cards. Relegation-threatened Genoa will square off against Roma on Sunday afternoon. The home side returned to winning ways last time out with a 1-0 win away to Crotone, bringing to an end a winless run of three matches. Roma have been absolutely brilliant away from home, winning their last 12 league games, with their last defeat on the road dating back to January. The away win is tipped with confidence. AC Milan and Torino are next up to do battle. The Rossoneri have been dismal in recent weeks and are without a win in their last three home games. Torino haven’t been any better and are winless in their last four travels. An end-to-end game of football is expected. Four of the last five meetings have seen both sides find the back of the net, so I’d suggest taking Both Teams to Score – Yes – at 13/20. 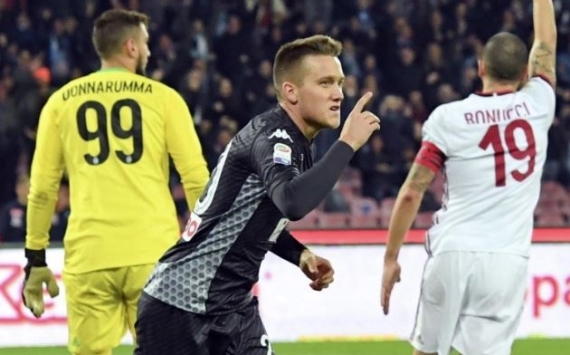 Udinese have been terrible with eight losses from 12 matches. Their opponents, Napoli, lead the pack with 11 wins and two draws from 13 matches, scoring 34 goals and conceding just nine times in the process. The Azzurri don’t look like fading and they will be determined to keep the momentum up. Don’t be surprised if they came out firing and put Udinese to bed in the first half. The Halftime-Full-time win on the away team at 9/10. Lazio are off the back of a 2-1 defeat away to title-contenders and city rivals Roma, but prior to that loss, they had won six matches on the trot. Fiorentina are without a win in their last three matches, including two losses. Lazio have won their last two home games, scoring a combined nine goals and conceding just once. The home win should be backed. Let’s keep this short and sweet. Juventus have won six of their seven home games, while Crotone have lost four of their six travels. The Old Lady looks a certainty to take maximum points, it’s just a matter of finding the value. Get on the Home to Score In Both Halves market – Yes – at 7/10. On Monday night, Atalanta and relegation-bound Benevento will bring the curtain down on round 14. La Dea are unbeaten at home since their opening day 1-0 defeat to Roma – that’s a run of six matches, including four wins and two draws. Benevento seem to have fallen and can’t get up. The new boys on the block have lost all 13 games, scoring just six goals and conceding 33 times. Atalanta are tipped on the (-1) Handicap at 13/20.